Is a Chapter 7 Bankruptcy Right for You? A Chapter 7 bankruptcy is known as a “straight” bankruptcy, or liquidation. It’s the most common Chapter for consumers. 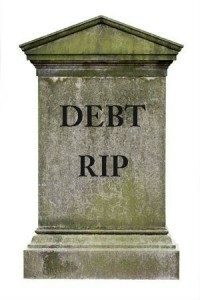 If you have more debt that you could ever imagine repaying, you could be an ideal candidate for Chapter 7. 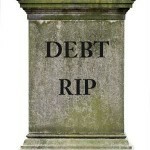 You can often eliminate all of your unsecured debt and stop creditor harassment and garnishments. Chapter 7 Debtors typically receive a discharge of their debts within a few months and can then focus on their future with a fresh start. A Chapter 7 Trustee is appointed to each case that is filed to determine if the Debtor has any assets that may be liquidated. Any proceeds the Trustee is able to collect will be distributed to your creditors in order of priority. Now before you panic, it should be noted that there are several exemptions under Colorado statute which exclude certain personal property from the liquidation process. The are called Colorado Exemptions, here is a list of Colorado Exemptions. In most cases my clients are able to keep most, if not all of their personal belongings. It takes an experienced Colorado Chapter 7 bankruptcy attorney to advise you on what assets are protected and how to plan for a Chapter 7 bankruptcy. The Law Office of Christopher German is not in the business of filing cases where clients unexpectedly lose significant assets. We thoroughly review every client’s financial records. We can help you take steps to protect your assets. You will know what to expect during each step of the process when our Denver attorneys file a Chapter 7 Bankruptcy case for you. Debtors must disclose all their debts, property, assets, and financial information from the last few years. You must also be under an income threshold for your household size to qualify for a Chapter 7 bankruptcy. Chapter 7 is best for clients without significant assets and income. Beware of your local $299 bankruptcy petition preparer advertisements that you may find on billboards and Craigslist. These companies are not allowed to provide you any legal advice on the state exemptions and protecting your assets. Trying to save a couple hundred bucks could cost you much more.